Come learn from some of the best. 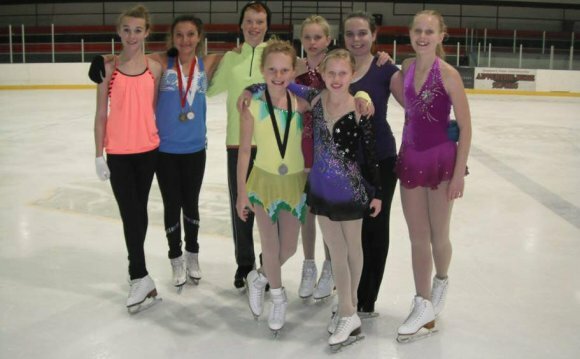 All coaches in our Learn to Skate program are members of the Professional Skaters Association. Each eight-week session, offered through the U.S. Figure Skating Association to beginners of all ages, includes skate rentals and four free public skating passes. Have the ice to yourself. During designated freestyle hours, the ice is open to figure skaters alone. Sessions are held at various times Monday through Saturday. Visit our calendar for the latest schedule. Edge classes, low dance classes, jump and spin classes…all of our specialty courses are designed to teach you the latest moves and footwork. Sign up for individual classes or get a 15% discount by purchasing a class coupon book. See our calendar for upcoming lessons. Sure, you could join a gym. But did you know that ice skating can help you burn 600 calories an hour? Learn a few skills—foot changes, turns, backward crossovers—and that number goes up to 900. All of our programs, from private lessons to freestyle skates, are open to all ages. Come see why more and more adults are taking to the ice.